Those who own a farm or ranch need a gas chainsaw that will handle heavy demand. 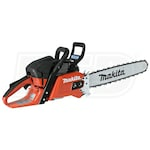 That’s why we’ve gathered data on best-selling, top-rated and expert-recommended farm and ranch gas chainsaws. Count on these to get the job done. Browse below and check out our Farm and Ranch Chainsaw Buyer’s Guide for more info. 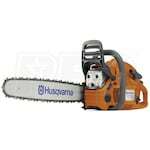 Best Farm & Ranch Gas Chainsaws - View Our Top-Rated & Best-Selling Farm and Ranch Gas Chainsaws. Our chain saw how-to library can help you pick the perfect electric chain saw, gas chain saw, pole saw or chain saw accessory.